A keyword research aims at highlighting the terms that users are typing in search engines. Searchers can use various types of terms and they are not all equal. Some keywords will be more researched and more competitive while some will have a clear intent. Keywords might be different according to the platform that you target (Google, Baidu, Youtube, Maps…). Get Clicks will identify the terms that should be targeted to improve your rankings. Internet users different types of keywords to search. The first step is to understand what are the terms that they are using to find information about your products and services and to get the monthly search volumes. It represents the number of times each term is typed per month and it will be useful to define the ones that should be targeted for each page. Understand how people are searching about your products, which can be an asset, both for a SEO and for a PPC campaign. Make sure that your pages are targeting the right terms. Identify terms that are relevant to your activity that but you can not use at the moment, like synonyms or terms that could be used to create a new categories or a new landing pages to attract more organic traffic. Provide recommendations about the content of the pages, as part of the “on-page optimisations” document, based on relevant keywords. Tracking the performances as part of the monthly reports. Search terms can be categorised in three groups : short-tail, middle-tail and long-tail. These groups refer to the competition a page will face according to the targeted keyword, the excepted traffic and conversions as well as the targeted pages. According to the maturity of the brand in terms of SEO and the content available on the current website, recommendations can be issued to target these groups. For instance, a newly launched website should focus on the long-tail keywords first while a mature brand will be able to target the three groups. A short-tail keyword will target high search volumes but the conversions will be low because of the lack of intent. By targeting “sneakers” only, it is hard to understand what the user is looking for. Does he want to buy something or is he just looking for information about sneakers? A middle-tail keyword will have an average search volume and the competition should easier to outrank. For instance, the intent is clearer if a user types “sneakers for men” and conversions should be higher. Generally speaking, these keywords will be targeted on sub-category. Long-tail keywords are terms that bring a low traffic but since the intent can be identified easily, the conversions are higher. If you have a e-commerce site, then the long-tail terms should provide you most of the traffic and conversions and they will be targeted on product pages. A keyword research will also aim at understanding the user intent. Since plenty of terms can be used to search, it is a key success factor to be able to categorise keywords in order to give priorities to the ones that should be targeted. According to the maturity of your SEO strategy, we will enlarge the list. Terms that refer to your brand like ``keyword + Brand Name``. Your website should be ranked in the first results already but it can happen in some cases that other pages perform better. For instance, if you are an international brand with several websites that are targeting the same languages but different regions. Generic terms that are considered as short-tail keywords like ``sneakers`` or ``fashion``. These terms will help to develop your brand exposure but they won't lead to high conversions. However, the traffic will be higher since more users will search for these terms. These keywords can be considered as short-tail terms. Terms that include an informational term like ``online`` or a location like ``hong kong``. 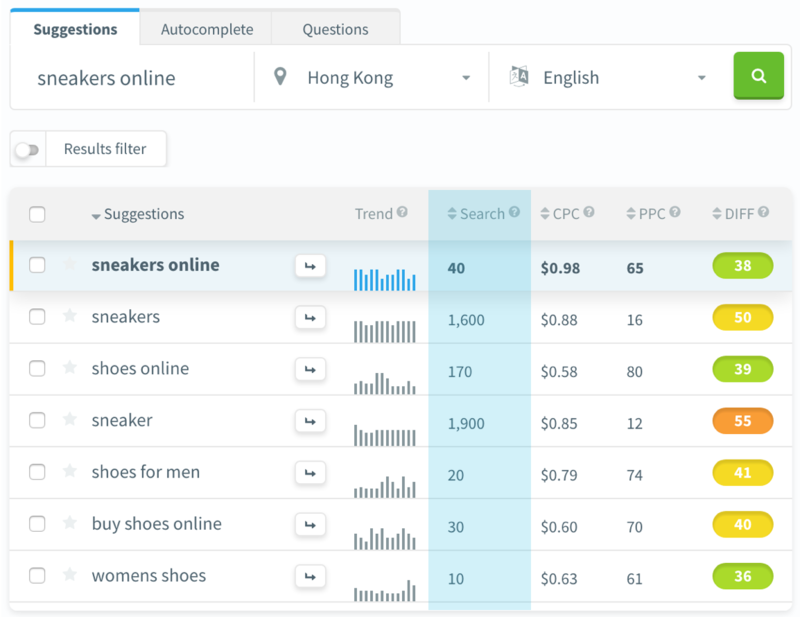 If the searched keyword is ``online sneakers`` or ``sneakers hong kong``, the intent is not as clear as for a transactional keyword but it should lead to average conversions and average traffic. It can be considered as a middle-tail term. Terms that include a transactional information like ``buy sneakers``. These keywords are generally middle-tail or long-tail ones but the intent of the Internet user is easily understandable. Being ranked in the top results will be extremely important to develop your online turnover even if it will not bring a lot of organic traffic. HOW DO WE RUN A KEYWORD RESEARCH? We identify the key pages that are relevant to create organic traffic because they will target keywords that are researched by users. We use various tools in order to gather the searched terms for each landing page and we include various metrics (search volume, competition...). We set priorities in order to make sure that targeting them is realistic compared to the current competition and the expected outcomes. We provide recommendations in order to make sure that the selected keywords are implemented in the right tags, to rank the pages higher. 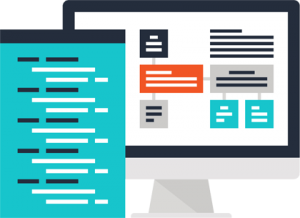 We provide recommendations to improve the content of your pages (titles, meta descriptions, links, images and text). We analyse which pages is performing and how users are engaging with your content to identify new optimisations.